This article has been updated since it was originally published in July, 2014. This post contains affiliate links, for purchases made within it, this blog receives a small commission. I have a spirited kid. From the moment he was small, I scoured the internet to find some of the best resources for gently parenting him, while making sure that I was doing the best I could as a mom. As he got older, I quickly realized that some of the more ‘traditional’ parenting methods just weren’t for us. The calm down corner was a LIFE SAVER. 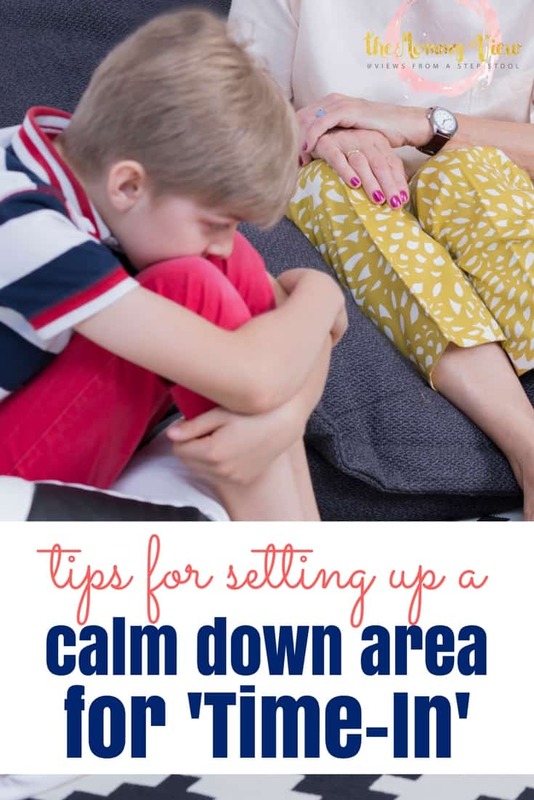 When I learned about and implemented a ‘calm down area’ in our home, it was quickly one of the best parenting choices I had made, and really made a big impact on our family. Check out how we did it below. Do I Need a Calm Down Area? I have always followed most attachment parenting techniques in my five short years of motherhood. I co-sleep with my babies (my 5 year old still ends up in bed with us most nights), and respond to every cry for much longer than most probably think I should. I breastfeed after a year and I baby-wear until they no longer fit in the back carry of my Tula. I know attachment parenting goes beyond that, but just so you can understand a bit of my ‘crunchy mama’ style, there you go. I’ve learned to let go of what others think and to do what I think is best for my little family; trust me, the freedom that will give you is exhilarating. My son, who is now 5, is a brilliant little boy who knows exactly what he wants, how to articulate it, and doesn’t like to take ‘no’ for an answer. Some would probably classify him as ‘spirited‘. If you haven’t read the book Raising Your Spirited Child: A Guide for Parents Whose Child Is More Intense, Sensitive, Perceptive, Persistent, and Energetic by Mary Kurcinka, you should, regardless of your child’s temperament. My son and I have a great understanding of each other and have learned how to navigate one another’s personalities and compromise on just about everything. My husband and I endearingly refer to him as the ‘Priceline negotiater‘. We have managed to avoid any real tantrums or meltdowns, but he has a hard time not getting frustrated and losing his temper, resulting in a lot of yelling and angry faces and a tired momma who runs out of patience. 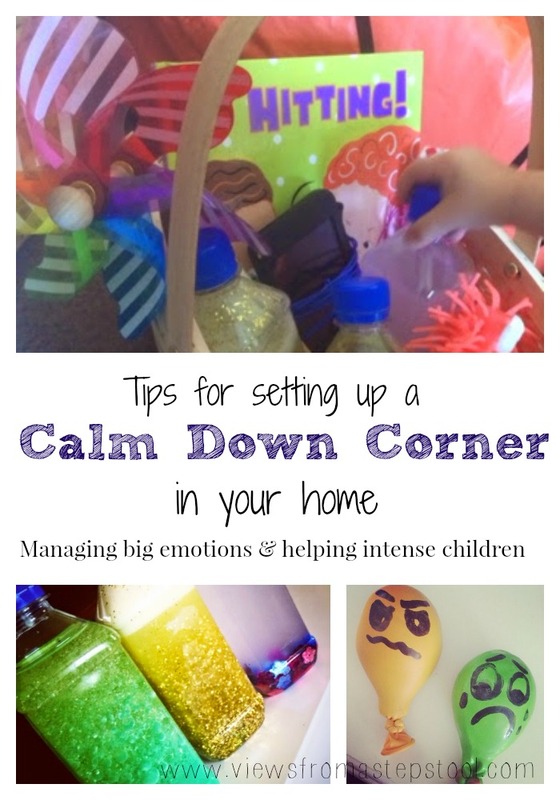 Time-in’s and a space to calm down has many benefits for an angry child. 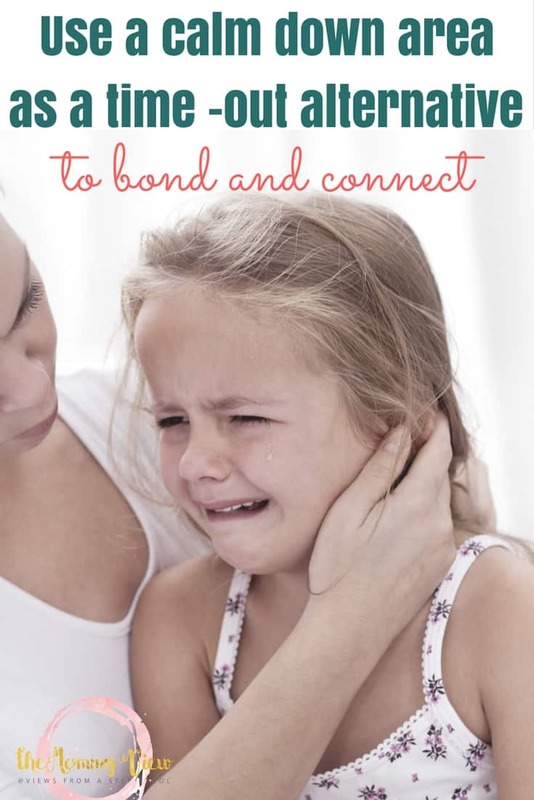 It allows the parent to connect and teach rather than isolate, and in the end, will strengthen the bond between parent and child rather than invoke fear of punishment. 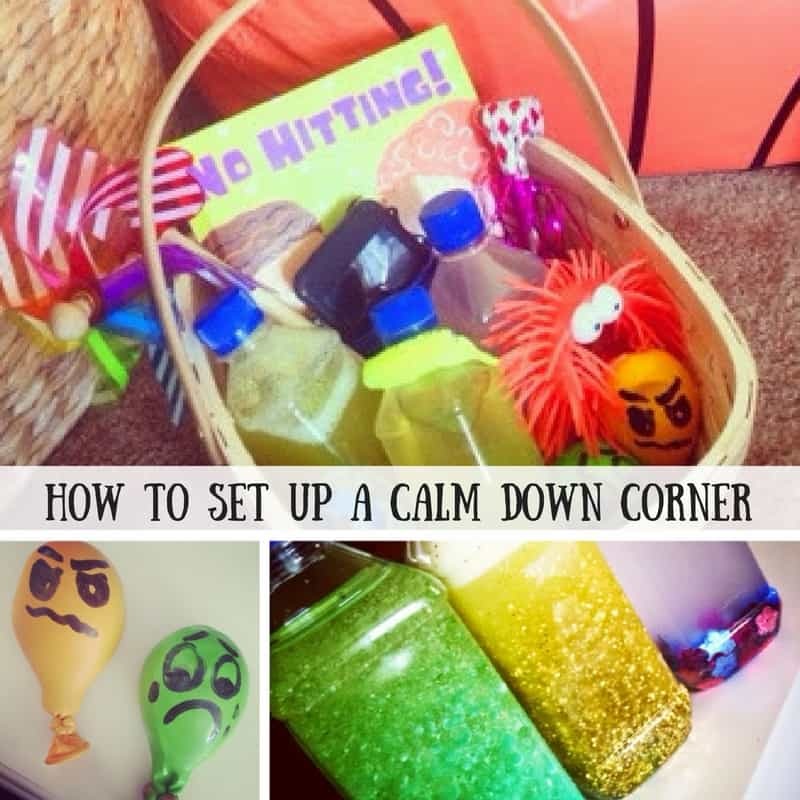 My goal with the calm down corner is for kids to learn some coping skills tools to help calm down, all the while teaching them that it’s ok to experience emotions such as frustration, anger and sadness. This calm down corner is a safe place for us to talk about how he is feeling, help him calm down and learn some skills to be able to do this when I’m not there. We created it together and he is excited about it, which I love. 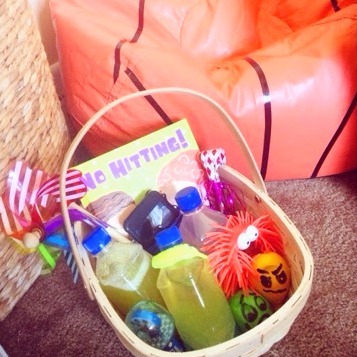 There is a bean bag chair, a pillow to scream in or even hit, some sensory items, music, and things that he can blow on to help with deep breathing. 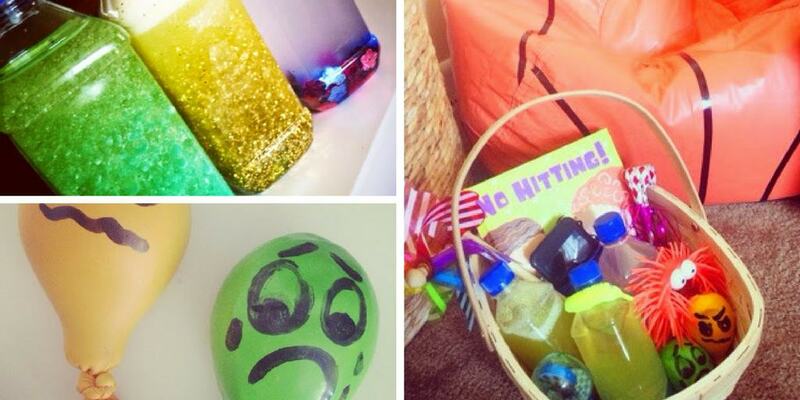 Here are a few of the things in our basket and links to the instructions for making them. These function similarly to stress balls that adults use. They feel great to squeeze and are perfect for angry little hands. I drew sad and angry faces on ours so that M could choose one that he could relate to, helping him express how he is feeling. 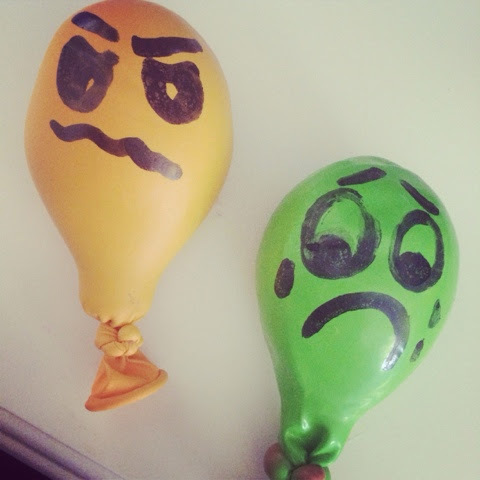 See these Stress Ball Balloons for ideas on how to make them. This area is in the living room so that even if he is upset, he is not isolated from the family. I can sit with him while he calms down and we can discuss what the issue is and how we can fix it. There are times where things just can’t be fixed, and for those times we can just sit a little longer, and have a few extra snuggles. I know this method may not work for everyone. Some might call it spoiling or letting the child take advantage. But I know my son has a voice and he has feelings. I don’t want to make him suppress that or have to deal with them on his own. I want to guide him and help him. 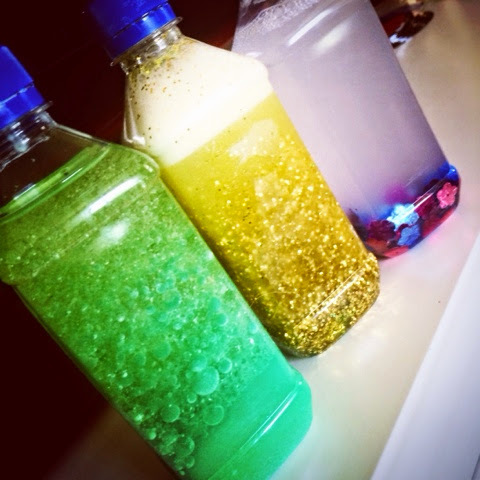 Get our FREE mini pamphlet with sensory play ideas, recipes and more below! Related: Even though I use the words ‘Calm Down’ in this post quite a bit, here are some reasons you might not want to use the phrase with your kids, and some alternatives instead. 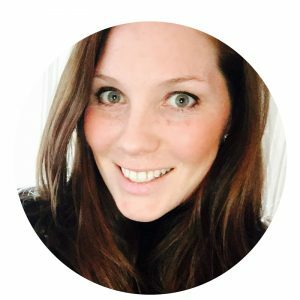 Vote for Me at Top Mommy Blogs! Katie, I love this post so much. Caleb is only in timeout for a minute right now, but 30 seconds in he starts to weep and say “I’m sorry mommy!” and I comfort him. I, too, love the cuddles and my heart melts at the “I’m sorry”s but I really want him to be able to find his own peace. I know he’s young and I hope that doesn’t sound harsh, but I feel like this is perfect. I am making a discovery bottle today and then I’m going to work my way up to the whole basket. Can’t wait to tell you how it goes. Thank you! Thank you so much for the great idea! I just made one up for my little lad. Its great to find a positive and loving way to deal with a very stressful time.